For fans of The Hunger Games and Divergent comes a story like no other... A toxic river divides nineteen-year-old Violet Bates's world by gender. Women rule the East. Men rule the West. Welcome to the lands of Matrus and Patrus. Ever since the disappearance of her beloved younger brother, Violet's life has been consumed by an anger she struggles to control. Already a prisoner to her own nation, now she has been sentenced to death for her crimes. But one decision could save her life. To enter the kingdom of Patrus, where men rule and women submit. Everything about the patriarchy is dangerous for a rebellious girl like Violet. She cannot break the rules if she wishes to stay alive. But abiding by rules has never been Violet's strong suit. When she's thrust into more danger than she could have ever predicted, Violet is forced to sacrifice many things in the forbidden kingdom ... including forbidden love. In a world divided by gender, only the strongest survive... ________________________ What Readers are Saying: "Bella takes this genre to a new level. Imagine the intrigue of Divergent, the suspense of The Maze Runner and the heart-pounding excitement of The Hunger Games. 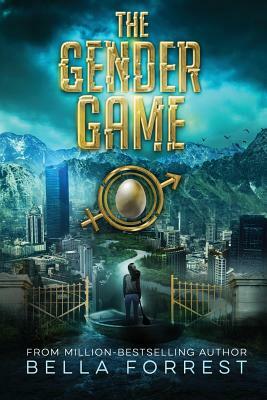 That is the magic Bella is working with her new novel The Gender Game." "The perfect mix of adventure, mystery, thrill, blossoming love and heartbreak. READ THIS ASAP You will not regret it." "You can never predict where Bella Forrest will take a story " "Intrigue, danger and mystery at every corner." "Once I started reading, I knew I wouldn't be able to stop. My heart raced along with Violet's ...] The twists and turns so far in this book have left my mouth hanging agape." "Intrigue, espionage, and a strong, smart female at the center of it all. Had me sucked in from the get go." This will be a ride you won't want to miss. ORDER NOW.